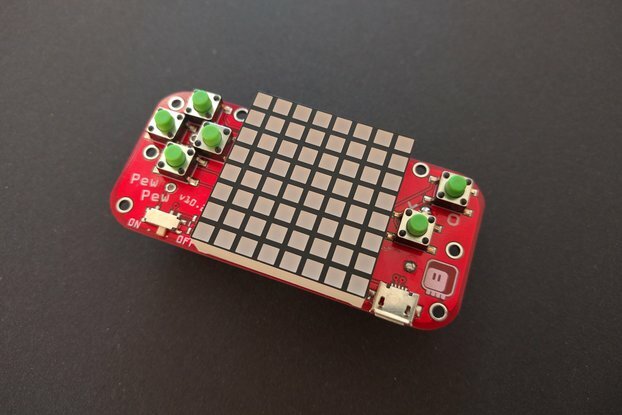 A shield for the D1 Mini ESP8266 development board with 8 buttons. 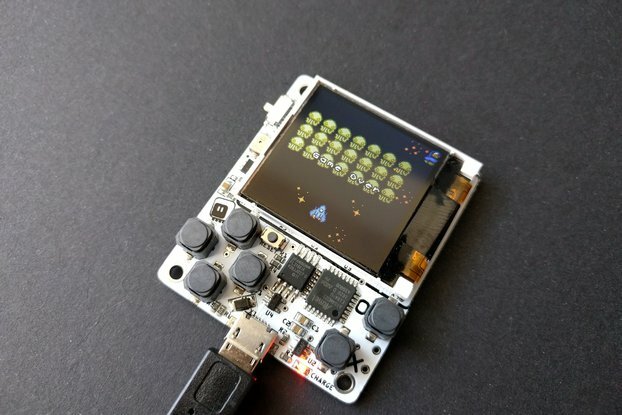 It's a shield for the popular D1 Mini development board, that adds to it eight buttons, arranged in a layout familiarfrom handheld consoles and game pads. 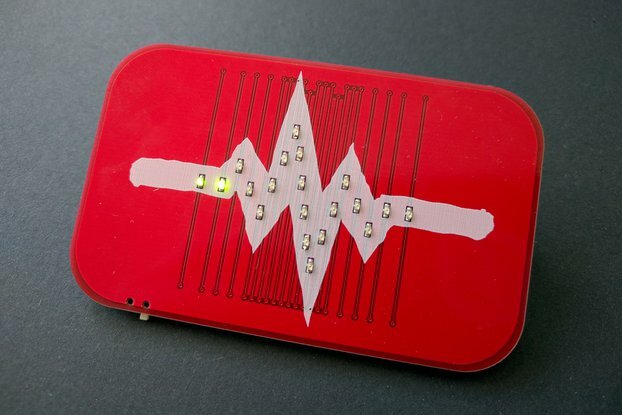 It comes with a chip that handles the buttons and communicates over I²C, so no extra pins are used. I needed a way to control the robots I'm building, and I also wanted to play a little with writing simple games for the ESP8266. 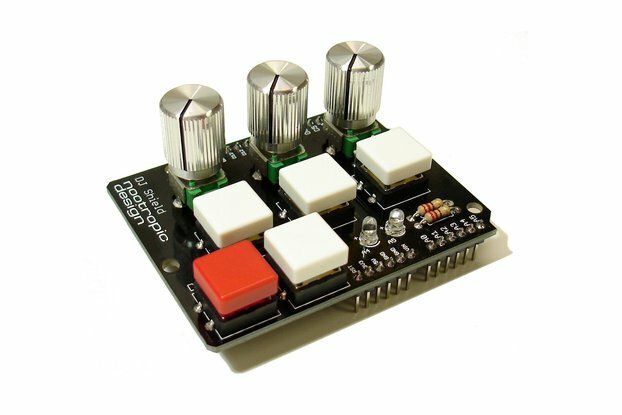 It could also be suitable for controlling home automation systems, all sorts of appliances, etc. — anywhere you need any sort of menu or cursor. This is a new version, 6.0, that has considerable improvements compared to the older versions. First, it's bigger and uses bigger buttons, which makes it much more convenient to use. 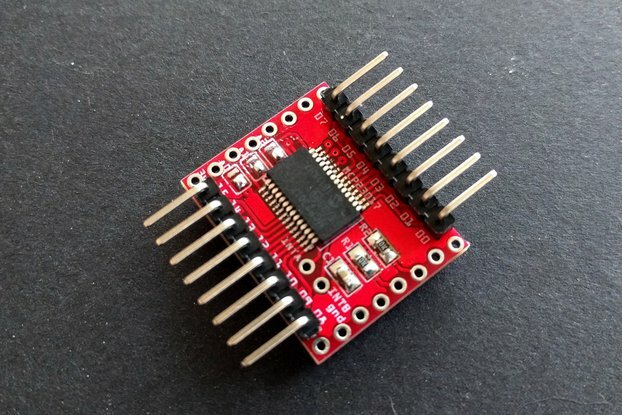 Second, instead of a simple pin expanding chip, this version has a microcontroller, programmed to perform button de-bouncing and buffering, so you no longer need to poll the shield for button presses frantically, afraid that you might miss any — all presses are recorded and wait in the buffer until you read them. 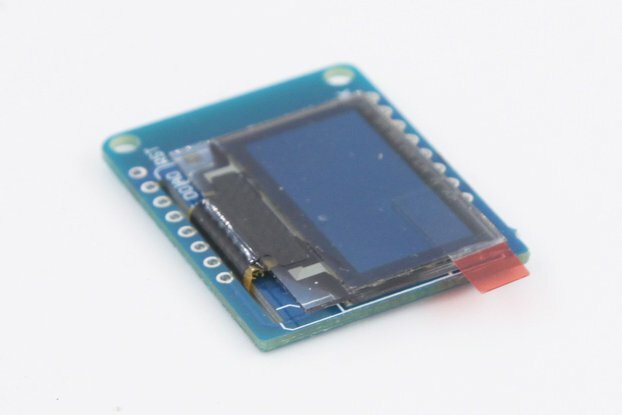 Finally, it has headers for connecting two kinds of popular display modules, so you don't need any extra cables. 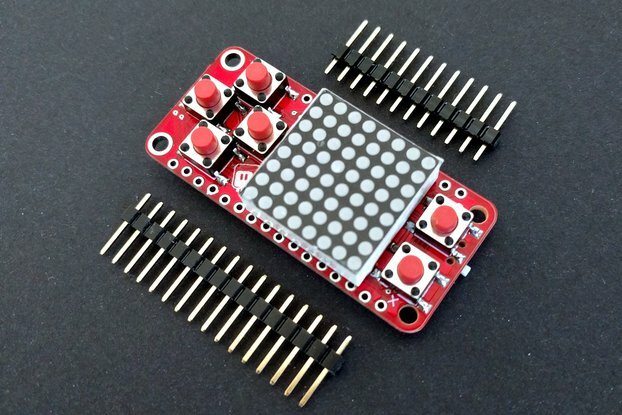 The shield comes with male pin headers that are friction-fit into the holes — no soldering is necessary. 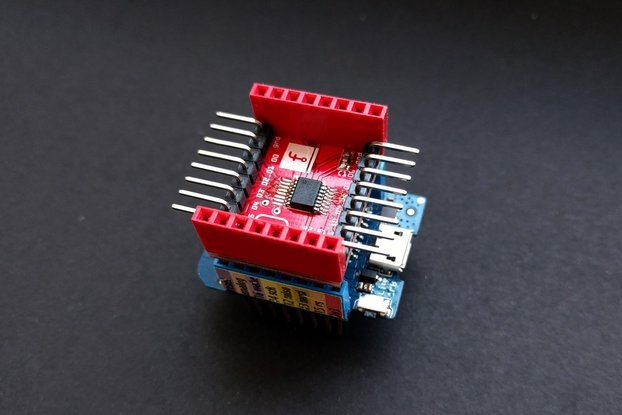 You can also use your own headers, or attach it to any other shield you are using. 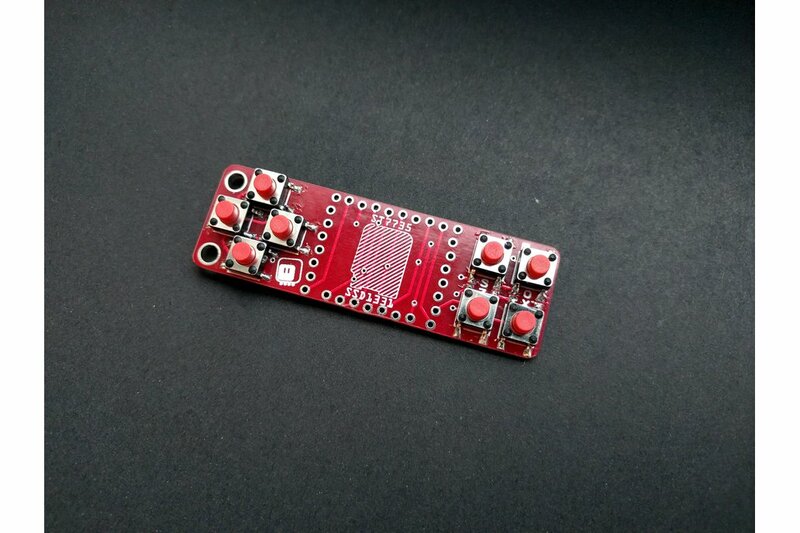 There are no components in the middle section of the board, so it can fit flat against any other shield or the D1 Mini itself. Check the links to the documentation and the design files. 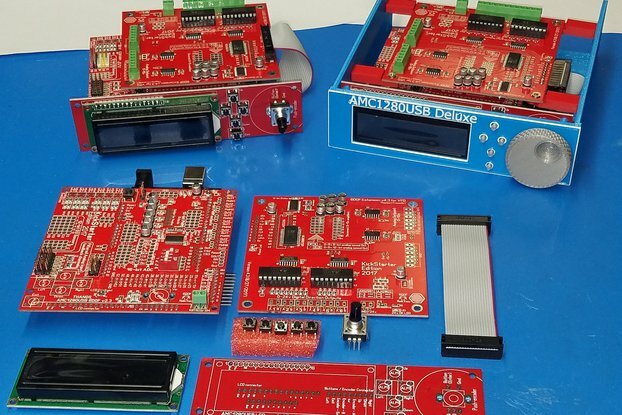 There are detailed logs about how I made this, and there are the design files, the schematic, and the firmware code.